Apartments and Villas consisting of a total 134 apartments of 1 ½ and 2 ½ bedrooms each available for short-term renting or leasing, all with their own private parking and garden or large verandah, and 19 bungalows and two-storey villas at c175sqm each all with private parking and extensive gardens, adding up to the maximum allowable overall gross internal area of 27,200sqm, yet allowing ample space for landscaped and natural gardens – Total Covered Area 17.400 sqm. 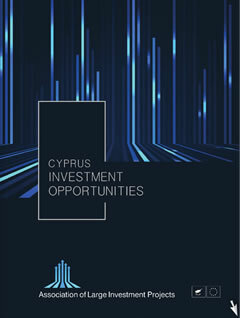 The proposed project is located in a green field area of 60.000 sqm very near to the state-owned Limassol General Hospital and a picturesque Greek Orthodox Church, north west of Limassol city and a 10 minutes’ drive from its cosmopolitan town centre with easy access to the motorway. The site is serviced by electricity and water supply, is regularly shaped and gently sloping toward the south offering spectacular panoramic views of the Limassol bay and beyond.